Throughout the month of September, the Brooklyn Fashion + Design Accelerator is hoping you’ll be part of the #MakeTheFutureHere campaign, a fun social-media-driven contest promoting making the future of the fashion industry in New York City’s hippest borough. In anticipation of its November launch, the Pratt Institute—run business incubator and production space is giving away a year-long membership, a $500 value that includes access to its full-service sample room production facility, digital fabrication lab, and textile-innovation lab, as well as its knitting machines, three-dimensional printers, laser cutters, and extensive samples library. That’s not to mention the myriad classes and workshops that will be available. Ready to learn how to build a successful, ethical, and future-forward business with a community of creators and seasoned mentors? 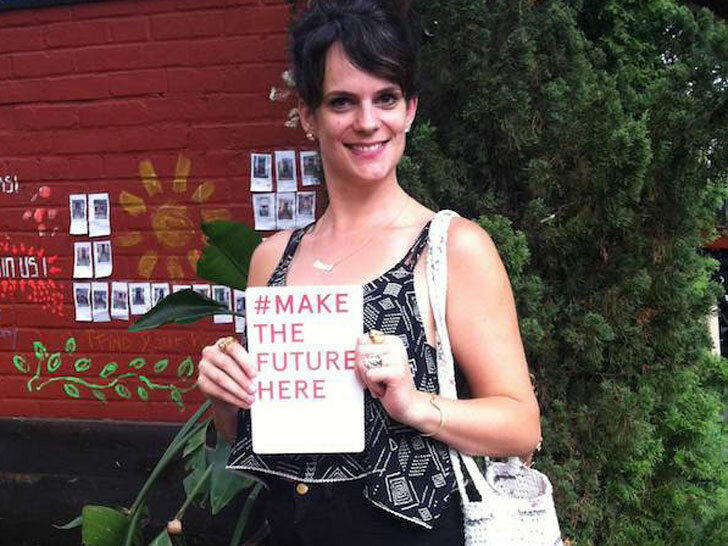 Pick up a #MakeTheFutureHere card all month at the Textile Arts Center in Manhattan (weekdays) or Brooklyn (Tuesday through Sunday). 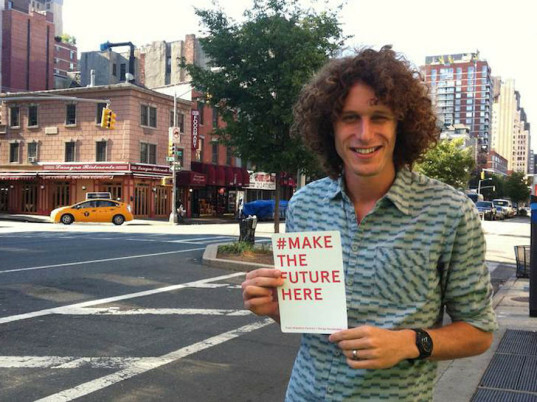 Take a picture of yourself holding the card, upload it on the Internet, and tag it with #MakeTheFutureHere on the BF+DA’s Twitter or Facebook page. The winner will be announced via social media on September 30, 2014. Good luck! Amy DuFault is the director of communications and media at the Brooklyn Fashion + Design Accelerator.